The identification of disease-causing mutations in human genetics remains challenging despite the NGS revolution as up to 70% of cases are still unsolved. 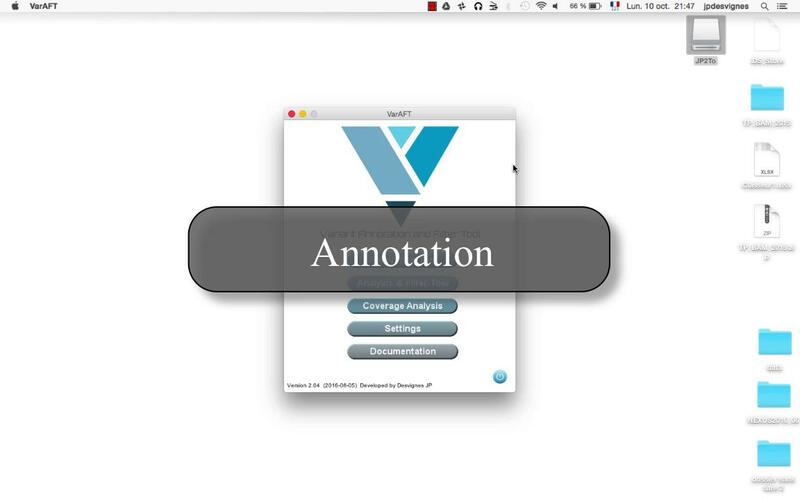 To tackle this challenge, we developed the VarAFT software to improve annotation and filtration steps. 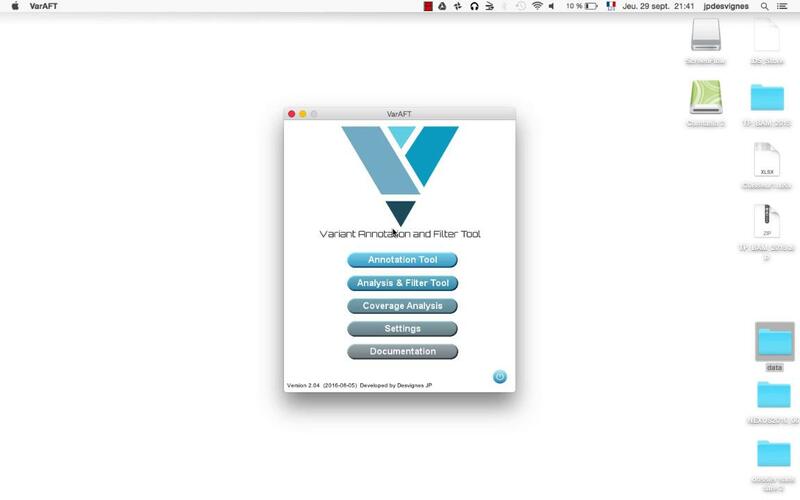 VarAFT provides experiments’ quality, annotates, and allows the filtration of VCF files. Data from multiple samples may be combined to address different Mendelian Inherited Disorders, Population Genetics or Cancers. It contains unique features including data from OMIM, HPO, Gene Ontology, pathways and predictions from UMD-Predictor and Human Splicing Finder in addition to classical annotations from dbNSFP that can be combined to optimally select candidate pathogenic mutations. VarAFT is a standalone and multiplatform (Windows, Mac, Unix) system which is easy to install and easy to use. It does not require skills in informatics or a powerful computer. VarAFT is developed by the Genetics and Bioinformatics team at INSERM UMR 1251 in the Medical School of la Timone Aix-Marseille University in Marseille, France. (More information on https://geneticsnadbioinformatics.eu) The VarAFT system is freely available to non-commercial users. This video shows you how to set VarAFT. This video shows you how to download Annovar database. This video shows you how to annote your VCF. This video shows you how to analyze a TRIO. 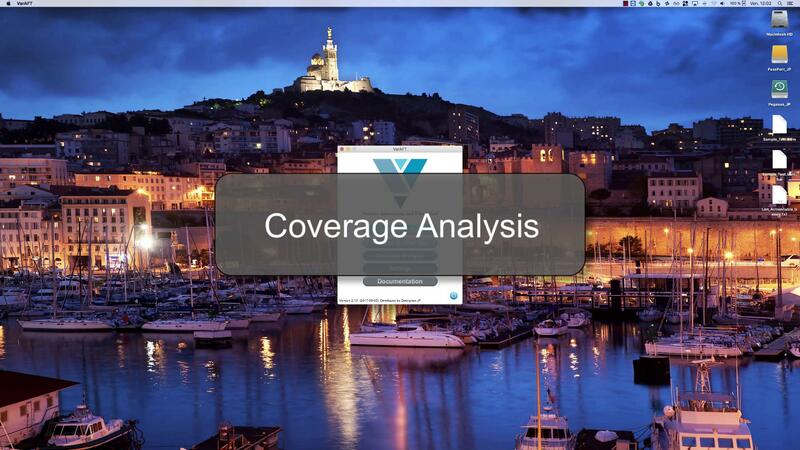 This video shows you how to perform a coverage analysis. This video shows you how to analyze the anemia use case. This video shows you how to analyze the NA11919 use case. When I click on the IGV button on VarAFT, IGV is initiated but the bam file is not loaded. Why ? Depending on your system, the time required for IGV to load differs. So if you constat the BAM file never load, launch first IGV prior to the analysis. If you try to upload a BAM file present on a distant server you need to upload it into IGV directly on IGV. Check if the bai file corresponding to your bam file is present in the same directory. I'm working on Windows and when I click on VarAFT.exe, the program doesn't start. By default, VarAFT uses 4GB of RAM. If your system has less than 4GB of RAM and/or is a 32bits system you need to launch VarAFT with the VarAFT_min.exe file present in the VarAFT directory. However you should know that some options will be disabled such as Coverage analysis for whole exome and multi samples (>6) analysis in CUSTOM (without prefiltered files). To solve this issue, remove or rename the varaft.conf file situated in your user folder in VarAFT_conf folder. When you will restart VarAFT, this file will be regenerated by default. Due to the time limit of the generated token the analysis stops after a hour. In that case try to launch separetly the annotation of your files. Note that if your file was already annotated, you can use the "Human Splicing Finder Module" to only retrieve HSF annotation. This issue will be resolved in a next release. Exome sequencing identifies two variants of the alkylglycerol monooxygenase gene (AGMO) as a cause of relapses in visceral leishmaniasis in children, in Sudan. 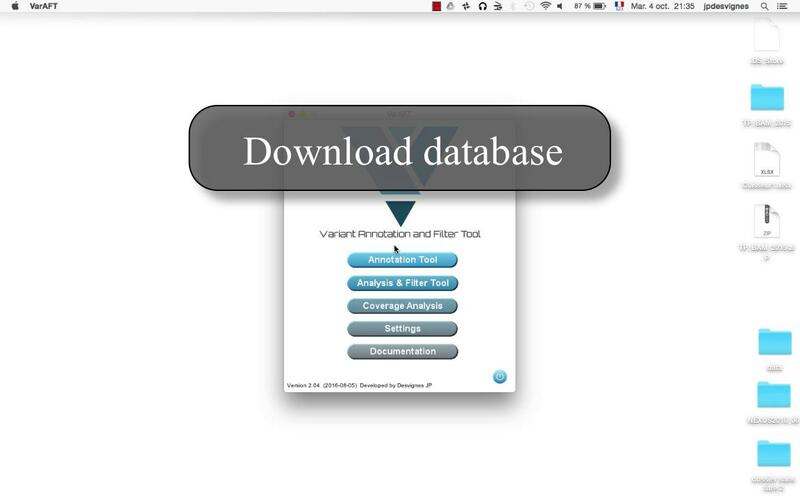 To install VarAFT for the first time or to completely reinstall it download this file. All rights reserved. You shall not duplicate or transfer the VarAFT Software, in whole or in part, in whatever media or manner (electronic format, handwriting process or other), including but not limited to, through copies, downloads, research systems or information storage, for any purpose, without AMU's prior written approval. The rights to adapt, translate, arrange, correct and, more generally, modify the VarAFT Software are exclusively reserved, at any time and in any place, to AMU and the developers. VarAFT is freely available for academic and non-profit use only. For VarAFT please contact christophe.beroud@univ-amu.fr. You are required to purchase a license to ANNOVAR from BIOBASE. For more information on how to obtain a commercial license please go to https://www.qiagenbioinformatics.com/. You are required to purchase a license to UMD-Predictor and HSF from GENOMNIS. For more information on how to obtain a commercial license please contact pierre.beroud@genomnis.com. No liability for software usage is assumed. By clicking on the download button you accept this licence. To install VarAFT for the first time or to completely reinstall it and if you have no admin rights download this version. Download this file to install or to update VarAFT on your mac OS. Download this file to install or to update VarAFT with a debian manager package. This package was build on Mint 17.4. Please note that VarAFT requires Oracle JAVA version 1.8 64-bits. The OpenJDK version of JAVA is not supported. Download this file to install or to update VarAFT with a Red Hat manager package. This package was build on Fedora 23. VarAFT was successfully tested on RedHat 6.3, 7.3 and 7.4. Download this file to install or to update VarAFT for other system. Unzip this folder in your VarAFT_Project directory to try it. This zip file contains vcf and annotated files from modified NA11919 from 1000 Genomes. This articial use case contains 1 SNV and 1 CNV resposible of a Left Ventricular Non Compaction phenotype.